Final preparations are underway for the next crew to depart for the International Space Station, marking 50 years since the first man went into space. 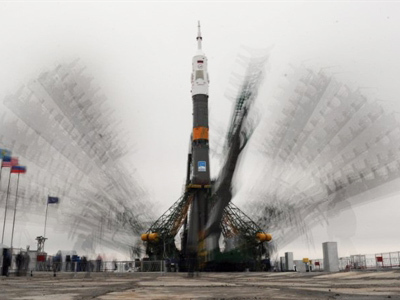 It is now only a matter of hours before three spacemen blast off into orbit. 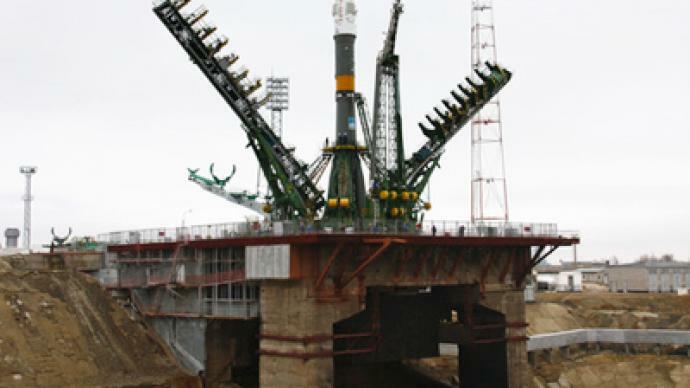 After a long and meticulous process, the Soyuz TMA-21 spacecraft is finally in position on the launchpad at Baikonur Cosmodrome in Kazakhstan, ready to start their mission on Tuesday morning. 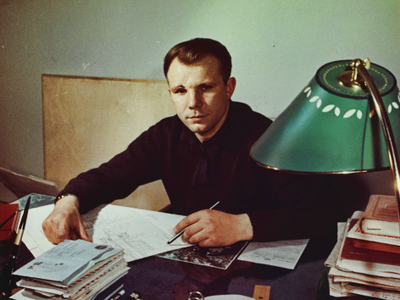 The crew will shoot into orbit in a spaceship bearing the image of Yury Gagarin, the first human to venture into orbit and return to the Earth’s surface unharmed. The flight will mark the achievement’s 50th anniversary. The Soyuz TMA-21 will take Aleksandr Samokutyayev and Andrey Borisenko of the Federal Space Agency and Ronald Garan of NASA to the ISS. 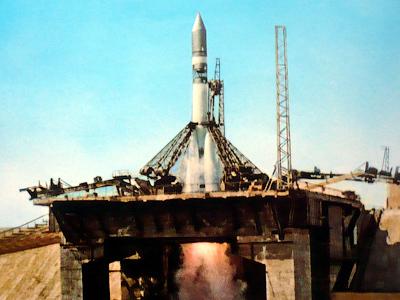 The backup crew is Anton Shkaplerov and Anatoly Ivanishin of Russia and Daniel Burbank of the United States. 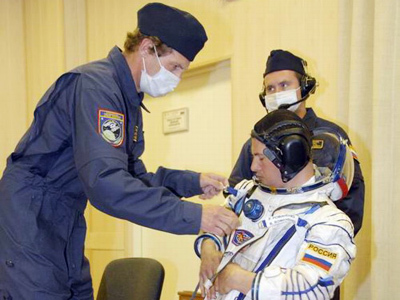 This is the first space mission for Samokutyayev and Borisenko, and the second for Garan who was a crewmember of the Discovery space shuttle in 2008. Cosmonaut Sergey Krikalev joined RT live to explain his colleagues’ feelings just hours before their big moment. Before take-off, the two Russian cosmonauts and American astronaut went through the usual traditions that their predecessors have followed, such as signing the doors of their rooms at the quarantine facility. After that the Russian Orthodox priest blessed the crew. 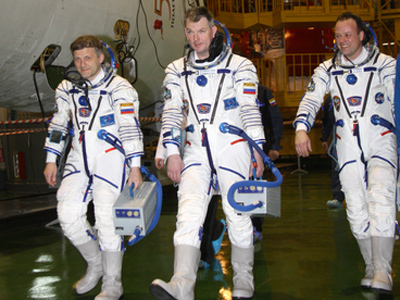 The crew will spend 164 days in orbit and return to Earth on September 16. During that period, there will be dockings of the US Endeavor and Atlantis space shuttles and the arrival of three Progress cargo spaceships. President of the World Vanguard of Young Cosmonauts, Dmitry Volkov, said, possibly jokingly, that despite the spacemen’s intensive training there is one area in which they could be more prepared. “During a news conference, one of our children asked what the cosmonauts will do if they meet an alien. The crew had nothing to answer, because they don’t have such instructions. So I wish that one day they will have them,” he told RT.